Designated AFSPC-11, the mission features two stacked payloads under the rocket’s five-meter payload fairing – the CBAS military communications satellite rides in the top position to deliver secure communications to combatant leaders while the EAGLE experimental platform in the lower slot sets out to release a small satellite and test new technologies for Space Situational Awareness and resilient satellite missions of the future. Atlas V – sporting five Solid Rocket Boosters for maximum liftoff power – is targeting launch at 23:13 UTC on Saturday, 7:13 p.m. local time at Cape Canaveral Air Force Station. The direct-to-GEO mission will take nearly seven hours and require three upper stage burns, aiming for a drift orbit over Earth’s equator from where the two payloads will maneuver to their classified operational locations. Weather is expected to be favorable for Saturday’s 118-minute launch window before conditions deteriorate on Sunday and a range conflict looms on Monday with a Falcon 9 rocket set to launch NASA’s TESS exoplanet telescope. 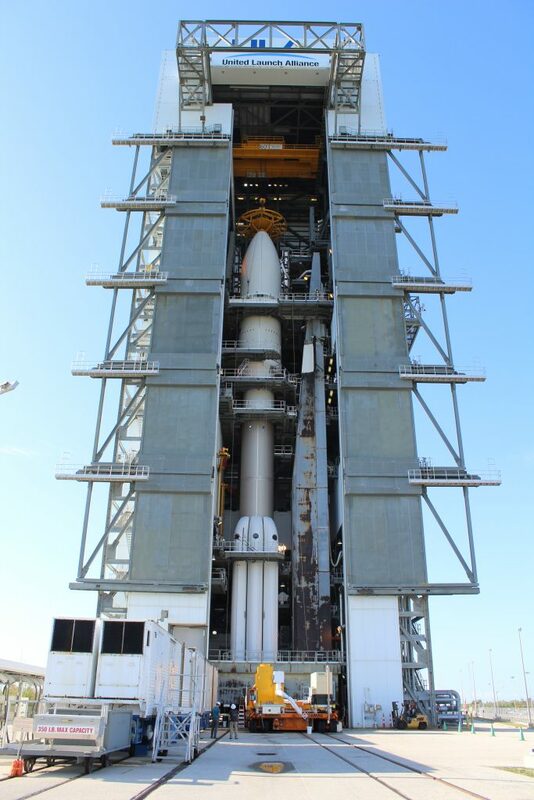 Saturday’s launch will be the 77th flight of the Atlas V rocket since its debut in 2002 and only the eighth of the 551 version which comes into play for high-performance missions, having sent the New Horizons and Juno probes to explore Pluto and Jupiter, and doing some heavy-lifting on five deliveries for the Multi-User Objective System of the U.S. Navy, one of three primary communications architectures operated by the U.S. military in Geostationary Orbit. The primary purpose of the CBAS satellite launching on Saturday appears to be augmentation of the three existing systems, though not much is known about the spacecraft. 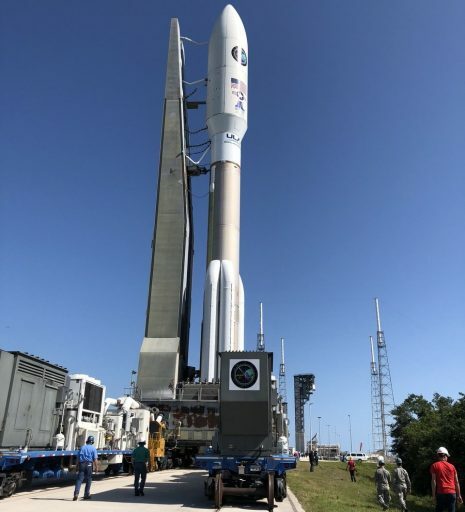 The identity of the primary payload of the AFSPC-11 mission was only revealed earlier this month when the U.S. Air Force announced that the CBAS satellite had finished launch base testing ahead of launch atop an Atlas V rocket. CBAS stands for “Continuous Broadcast Augmenting SATCOM” and is a geostationary communications satellite designed for communications relay capabilities to support senior leaders and combatant commanders. 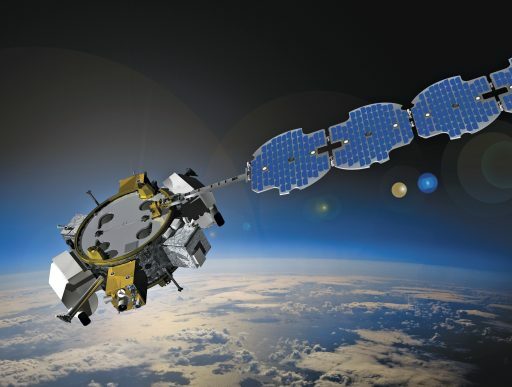 “The mission of CBAS is to augment existing military satellite communications capabilities and broadcast military data continuously through space-based, satellite communications relay links,” the Air Force said when announcing CBAS as primary AFSPC-11 payload. Neither the satellite’s manufacturer nor any operational details like its payload, operating frequencies and desired position in Geostationary Orbit were disclosed to the public in the run-up to launch. Orbital ATK’s ESPAStar platform takes the ESPA adapter system as a basis and adds power generation, propulsion, attitude control, data storage and communications infrastructure that can be shared by up to six hosted payloads installed around the ESPA ring. EAGLE, to public knowledge, hosts one separable satellite and four attached payloads primarily dedicated to the evaluation of systems for Space Situational Awareness – an area of focused development due to efforts underway by multiple countries to come up with the technology to study and potentially manipulate resident objects in orbit. To be deployed from EAGLE is the MYCROFT satellite, understood to be a follow-on mission to the 2014 ANGELS demonstration of an agile satellite capable of flying up to another object in space and collecting information on it using different sensors. 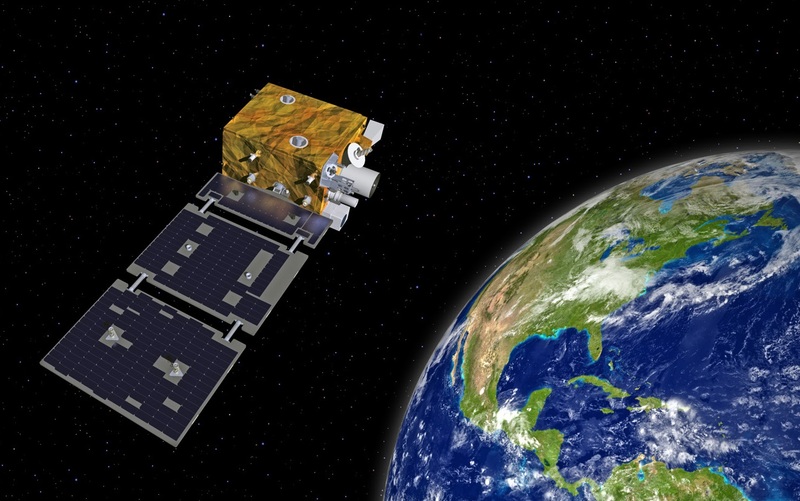 The payloads to remain attached to EAGLE include a Hypertemporal Imaging Experiment tasked with blending imagery obtained of targets in different wavelength bands over a period of time to extract a maximum of information; an Inverse Synthetic Aperture Ladar will demonstrate the use of this technology to produce ultra-high resolution imagery of other objects in space to eventually replace electro-optical imaging systems used on today’s inspection satellites. EAGLE also hosts a small-sized space weather monitoring package designed to measure all primary space environment effects that impact the operation of a satellite while another demonstration evaluates the components of a “resilient” spacecraft platform for a future tamper-proof satellite. Currently the most powerful in ULA’s Atlas V arsenal, the 551 version offers a total payload upmass of 3,812 Kilograms for a direct Geostationary Injection. EAGLE weighs at most 1,848 Kilograms, leaving between 1,960 and 3,100 Kilograms for CBAS. Both payloads and any separable satellites will likely receive USA designations and amateur satellite trackers are expected to be the only source of information on their orbital activities. Meteorologists expect generally favorable conditions for Saturday’s launch window with an 80% chance of acceptable weather, cumulus clouds being the only concern. For Sunday’s backup slot, odds worsen significantly to only a 20% chance of favorable conditions as a cold front will push from the Florida Panhandle into Central Florida by late Sunday evening, bringing the potential for strong thunderstorms, gusty winds and clouds. Skies are expected to clear rapidly after the frontal boundary passes and conditions on Monday/Tuesday are expected to be very favorable for launching rockets. Atlas V is booked on the range for Saturday and Sunday while Falcon 9/TESS has the range on Monday and Tuesday. 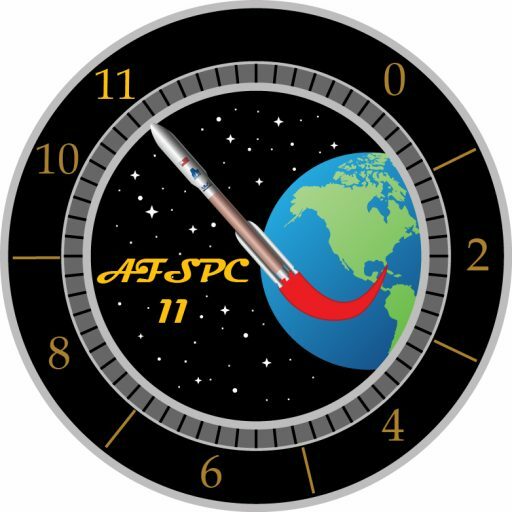 Having gone through clean readiness reviews earlier in the week, the AFSPC-11 mission was cleared to the launch pad and Atlas V emerged from its integration facility around 10 a.m. local time on Friday to move to the pad at Cape Canaveral’s SLC-41 for the typical one-day on-pad campaign. Teams expect to load the first stage booster with Rocket Propellant 1 later on Friday before buttoning up the launch facility for the start of a lengthy countdown operation on Saturday. Atlas V countdown operations begin around seven hours before the opening of the day’s launch window when the launch team reports to console at the Atlas Spaceflight Operations Center for the activation of the two-stage rocket for a multi-hour checkout operation to ensure all systems are ready to support the mission. Approaching L-4 hours, the Launch Team puts the Atlas V through a series of communication checks on its S- and C-Band Systems and also goes through Flight Termination System testing before applying the purge flow to the vehicle in advance of propellant loading. When clocks reach T-4 Minutes, the countdown enters its second built-in hold for final polling of the launch team prior to pressing into Terminal Count. This hold can be extended in case of technical issues or uncooperative weather, taking advantage of the mission’s nearly two-hour launch window. 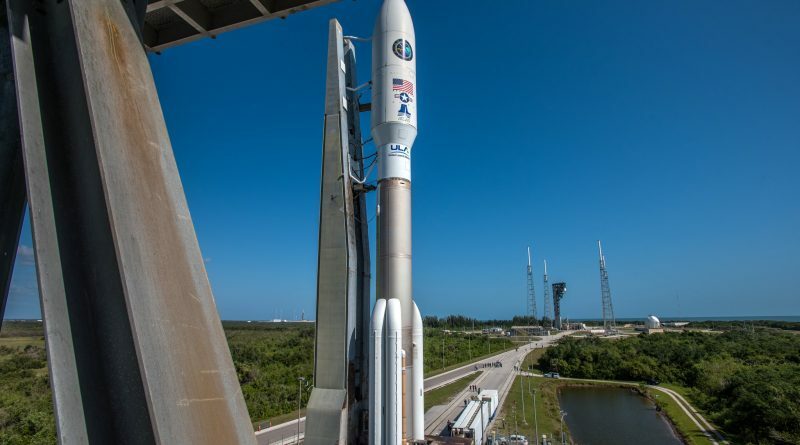 Standing over 60 meters tall, Atlas V will come to life at T-2.7 seconds when its two-chamber RD-180 engine will soar to a launch thrust of 390 metric ton-force. As the five boosters ignite, Atlas V will jump off the pad with a liftoff thrust of 1.25 Million Kilogram-force creating an initial thrust to weight ratio of 2.15. Less than four seconds after liftoff, Atlas V will start its roll and pitch program to align itself with its precise ascent path to the east. The five Aerojet-Rocketdyne Solid Rocket Boosters will push Atlas V beyond the speed of sound by T+35 seconds and the vehicle will encounter Maximum Dynamic Pressure 46 seconds into the flight; RD-180 will be operating at reduced thrust during this phase of the flight. Each burning 41 metric tons of packed propellant, the five SRBs will tail off at the 94-second mark, though Atlas will keep holding onto them for another 13 seconds to ensure they separate in favorable aerodynamic conditions and impact at a safe distance to the coast. The boosters will separate in two groups, spaced by 1.5 seconds, and Atlas V will continue onward relying on the RD-180 engine alone. 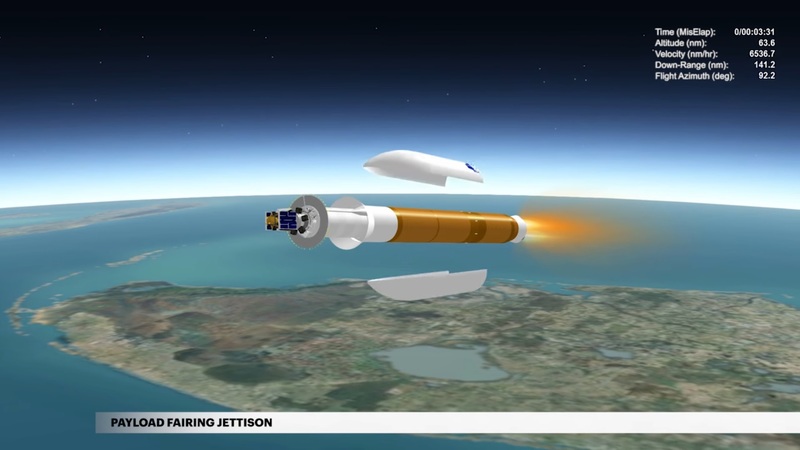 Thrust on the engine will climb to 422 metric ton-force as the vehicle escapes the dense atmosphere and the five-meter payload fairing will drop away three minutes and 31 seconds into the mission to reveal the dual-payload stack. Passing the four-minute mark, RD-180 will gradually reduce thrust to keep the acceleration acting on the structure at manageable levels before shutting down at T+4:33.5. 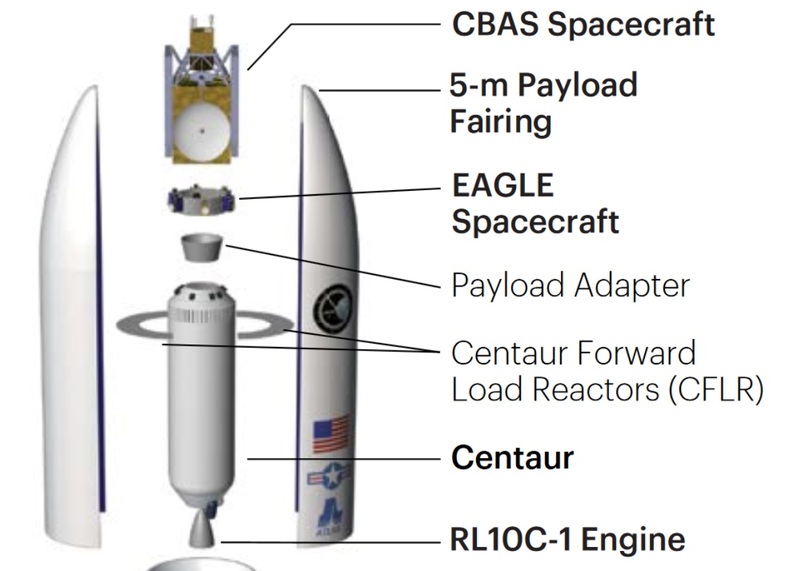 Six seconds later, pyrotechnics will cut the structural connection between the stages and retrorockets will fire to discard the spent first stage while Centaur readies for ignition. Assuming control of the flight, Centaur will be tasked with a three-burn mission profile – first lifting the stack into a Low Earth Parking Orbit, re-starting over the equator to raise the high point of the orbit to the desired injection altitude and then coasting all the way to the apogee of the orbit for the critical circularization burn. Firing up its 10,400-Kilogram-force RL-10C engine, Centaur will complete a six minute and one-second burn to inject the stack into a preliminary parking orbit for a coast phase of twelve minutes. While coasting, Centaur will traverse the Atlantic Ocean and arrive over West Africa when re-lighting on the mission’s second burn at T+22 minutes and 57 seconds. This five-minute and 49-second burn is designed to lift the apogee of the resulting orbit to an altitude of over 35,000 Kilometers and position it over the equator on the opposite side of the planet. Centaur will then settle in for an extended coast phase of five hours and six minutes designed to allow the upper stage to climb all the way to the high point of the transfer orbit so that the third burn could act as circularization and inclination-reduction maneuver. This burn is planned to start at T+5 hours, 34 minutes and 46 seconds and last two minutes and 36 seconds to lift the stack into a perfectly circular orbit and reduce the orbital inclination to zero in order to place the two satellites into a drift orbit near the Geostationary Belt. 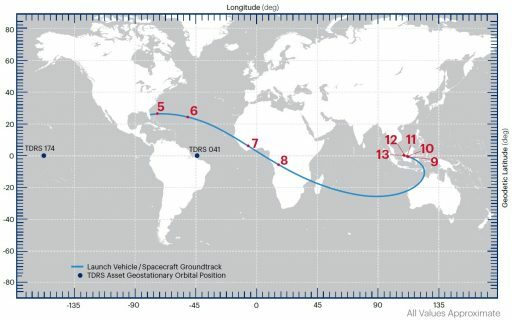 The two satellites are expected to separate from the Centaur upper stage before T+6 hours and 57 minutes – the exact timing is not being disclosed to the public due to the semi-classified nature of the AFSPC-11 mission, though separation some 35,300 Kilometers above Borneo would not be visible with conventional means anyway. 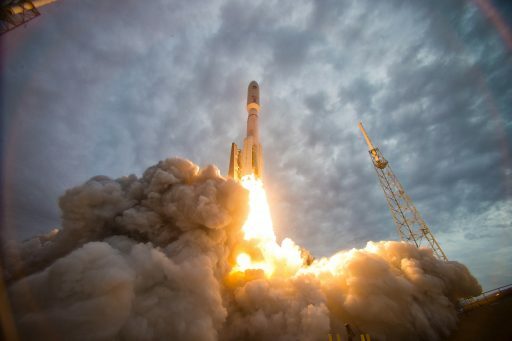 Mission success will be confirmed by ULA or the U.S. Air Force before CBAS and EAGLE head into obscurity to carry out their missions out of public view.